It is that time of year again...my birthday. Next week, I turn 39 (excuse me while I throw up a little in my mouth). My friend, Monica Samuels, is flying in to spend a few days with me in Chicago for my birthday extravaganza. I've written about Monica in the past. 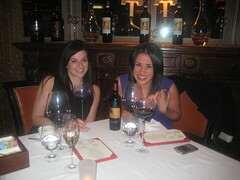 I was with Monica in Vegas for Sake Fever, and while we were out there, we had dinner at CarneVino. While Monica is in Chicago, we will be visiting multiple culinary destinations. Monica is a sake ambassador and we both have a soft spot in our hearts for food (my soft spot is a little softer than hers). Monica is also the only person I ever allow to order for me at dinner. In fact, when I am in her company, I rarely even have to look at a menu. She orders just the way I like it - sharing many dishes. I am not big on entrees, I like to try many things and get bored with a whole entree. Leading up to my weekend of gluttony, I will be spending some Leyla Time primping and indulging in other ways. Leyla Time started over the weekend with a minor procedure, if you find me a little less expression-full over the next few months, just keep it between us. I've already been receiving comments like "You look good, did you do something different?" Well, yes, yes I did. 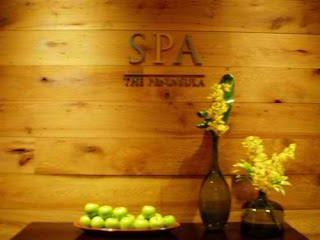 Tomorrow morning, Leyla Time continues with an 8:00 a.m. spa appointment at The Peninsula Spa for a manicure and a pedicure. Immediately followed by a full day of work. And, tomorrow evening, I have a cut and color scheduled with @ToddFisch. Then I have MeetUp for Affiliate Marketers (I hope I don't miss it). Wednesday I work from a client's office (which will feel like a vacation in comparison to Monday and Tuesday). I have another Affiliate MeetUp on Wednesday night, this one is on PPC. On Thursday, Miss Monica will be coming in at 5:00 p.m. 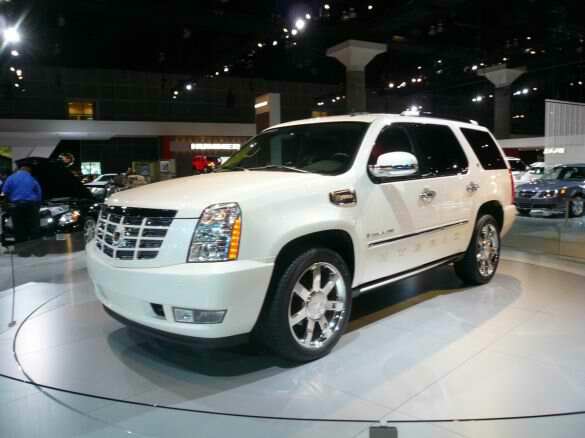 I will be picking her up from the airport with the Escalade I will be driving for my birthday weekend. (I really hope it is a white Escalade, I like white with the gold package, like P. Diddy would drive. I have a weird obsession with P. Diddy). Monica and I will be driving back from the airport and straight to dinner at Schwa with a very special (anonymous) friend who worked his magic and got us the reservation. Schwa has been on our list of must-visit spots in Chicago. Friday night, Monica and I have dinner reservations at Girl and The Goat. I may be the only person in Chicago who has little desire to eat here, but Monica wanted to try it, so I agreed. I am certain the food will be great, I am just not into the whole "I was a TV Chef" thingy. I'm a throw-back foodie, I turn my nose up at the newbie foodie, and I have strong feeling Friday night will be crawling with newbies. I am doing my best to go in with an open mind (and also hoping that someone at the restaurant doesn't read this and cancel my reservation). Saturday night Kevin (Monica's boyfriend) comes into town and they have plans with other Chicago friends while I attend an engagement party. We may all meet up at Three Aces later that night. Monica and Kevin both leave on Sunday. Before I drive them back to the airport, in my Escalade, we will have an early dinner at Avec. Avec was where Monica and I used to go every Tuesday night when she lived in Chicago - and Avec is also where she would consistently trick me into eat pork. Oh, the times we had! While Girl and Goat boasts a chef that's been on TV, she ran her own restaurant, Scylla, before appearing on that show. She did well for herself before that show but has capitalized on it. HI Jeff, Thanks for your comment. Yes, I think I vaguely recall that restaurant. In Wicker Park somewhere? I'm not blaming anyone for capitalizing on TV or anything else, I am all for making the all-mighty dollar, I would just rather go somewhere more low-key. She tricks you into eating pork?! Love it!